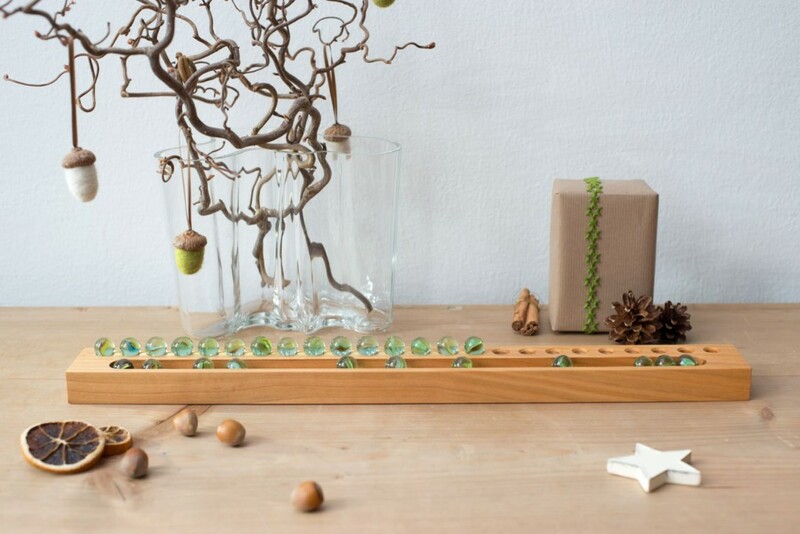 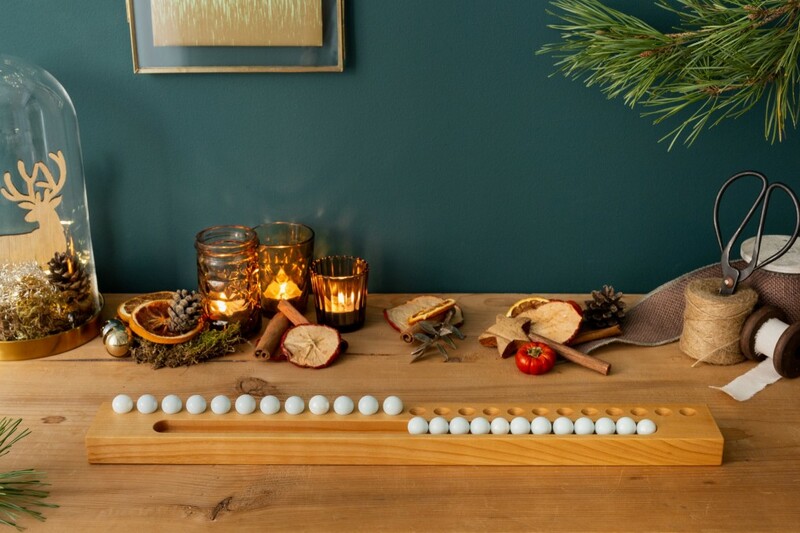 This is a unique Advent calendar: instead of chocolate you place a marble in the solid cherry wood bar and bring it out Christmas time again and again. 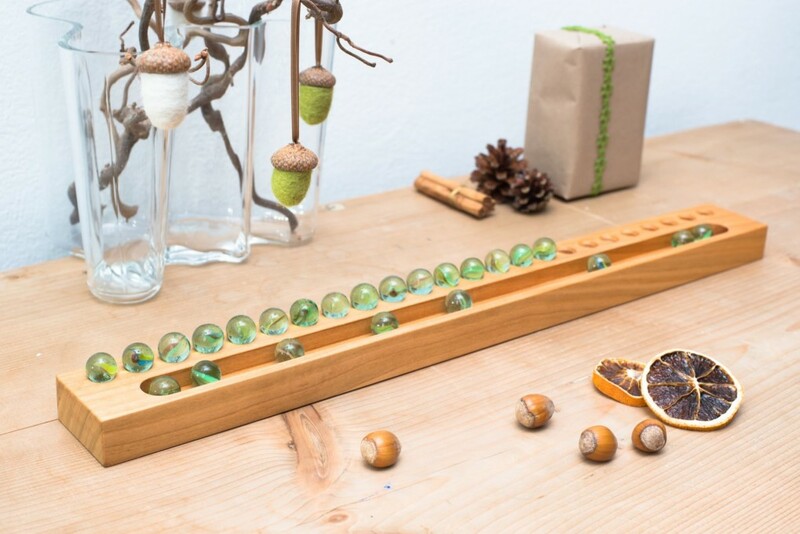 Made from solid cherry wood and equipped with 24 glass marbles, this is an Advent calendar in a class of its own. 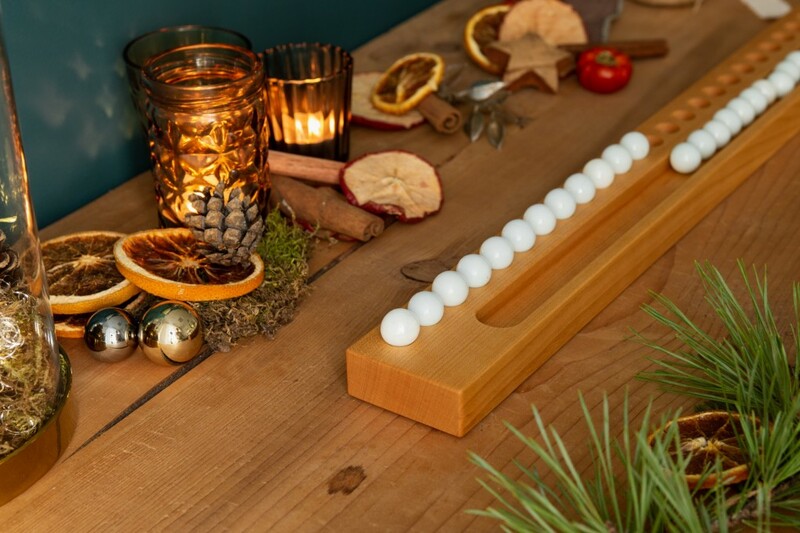 Choose from ten different marble colours and count down to Christmas Eve.